The new trend in swimming paddles. 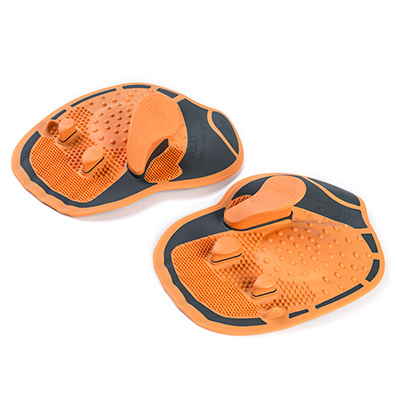 Their shape and surface boost your physical condition and correct your posture. They act as a key element for both triathletes and swimmers. In addition, they guide your arms in order to deepen the stroke and raise your elbows, optimizing the exercise and preventing possible injuries. Full use of fingers and palm to improve posture. Stringless grip correcting movement and technique. Our hands are the main anatomical elements used for leverage while swimming. Without the right position and necessary tension, we cannot make the most of them, nor can we perform properly in future competitions or triathlons. That is why AQUOR is the connection between water and mind. 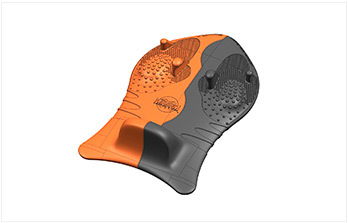 These new and advanced swimming paddles are designed without attachements, forcing you to put your hands in the right angle. Otherwise, they would come off while performing different strokes. 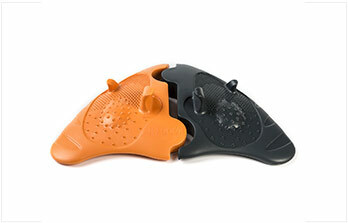 As well as all kZoomi products, AQUOR incorporates a Haptic Perception System: a network of pressure dots which allow you to feel the different levels of water pressure at every moment, giving you a more realistic idea of your body alignment. 25 x 19 cm each paddle. 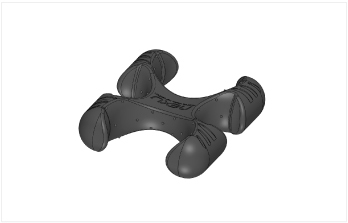 Made of Polyamide with injected EVA.